Like a soldier needing an armor, a hockey player also requires the best hockey shoulder pads available. Wearing these will give them protection, heightened mobility, and durability during the toughest games. Finding the correct gear is crucial for every hockey player, and knowing which are the best ones will definitely give them the advantage they need. Now, we all know that hockey is a very physical game, which is why getting the right gear helps prevent injuries and provides overall protection. Then again, with an array of hockey gear to buy, you might get confused on which one to pick. To help you out with your search, we’ve gathered our top five choices for hockey shoulder pads and reviewed each one in detail. 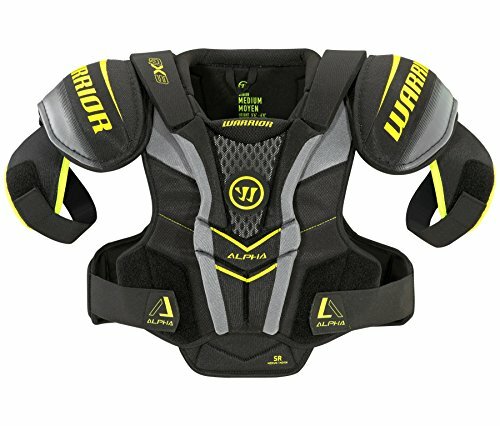 The Warrior QX3 is the first shoulder pad that made it to our list. It has outstanding features that keep the player protected and safe. Do you think these features would be enough for your needs? Let’s see! This shoulder pad is designed with the patented Quick Strike fit. This technology ensures superior fit, maximum mobility, and protection. What’s more, with its Strike Yellow liner, this hockey shoulder pad keeps you clean and dry no matter how intense the game is. This hockey shoulder pad offers two-way protection that protects the wearer’s joints, as well as keeps his opponents safe too. Despite its maximum protection, though, this shoulder pad has ventilation that keeps the wearer cool. Nevertheless, while it may offer ultimate protection, the Warrior QX3 is remaines lightweight, making it very comfortable to wear even for long periods. Next on our list is the STX Ice Hockey Stallion HPR Shoulder Pad. Similar to the previous one, this lightweight shoulder pad also offers superior protection. For increased coverage and maximum protection, the STX Ice Hockey Stallion HPR Shoulder Pad utilizes Power Fit technology, which targets different zones that need extra cushion. It also has high-performance paddings called HD2 Foams, which are built into the chest plate for an expanded protection in this high-impact area. Pieces of HD and EVA foams are placed strategically along the shoulder pad, creating a hydrophobic barrier that helps minimize moisture buildup. Moreover, these foams help make this shoulder pad as lightweight as possible. Equipped with a two-piece bicep guard, the STX Ice Hockey Stallion HPR Shoulder Pad allows easy fit customization to guarantee maximum comfort. This feature helps keep the shoulders comfortable while maintaining heavy impacts. 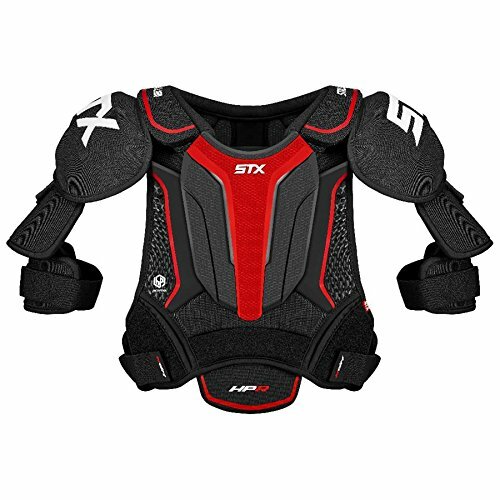 The STX Ice Hockey Stallion HPR Shoulder Pad is available in Senior (Small, Medium, Large, and Extra Large) and Junior (Medium and Large) sizes. Lightweight and comfortable—these are just two of the excellent features that the Bauer Vapor 1x Lite Hockey Should Pad offers. Want to know more about it? Then, read on! The Bauer Vapor 1x Lite Hockey Shoulder Pad is definitely lightweight. 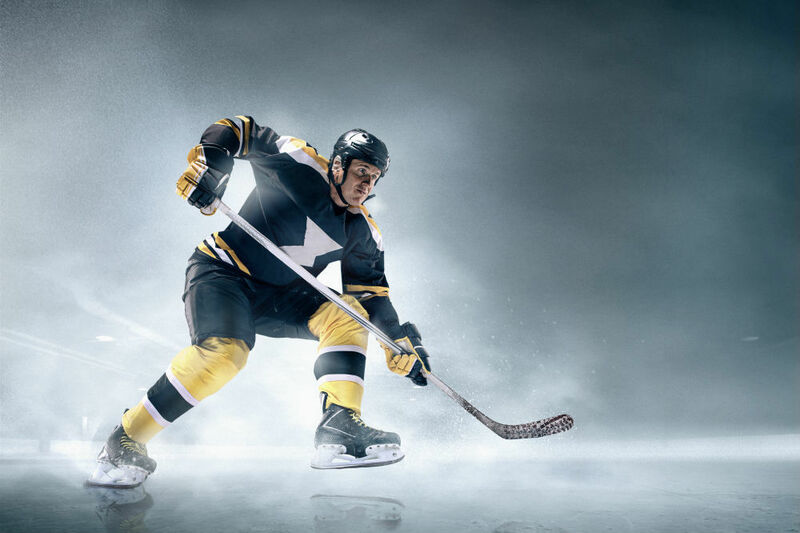 Using their latest technology, Bauer has reduced their shoulder pads’ weight to 25% compared to their earlier models. This shoulder pad features shoulder caps called Aerolite 2.0, plus protection through the spine, sternum, and biceps made with Curv composite. This professional level of protection keeps the back and shoulder area safe while maintaining mobility. Equipped with traditional Velcro straps on multiple shoulder pad points, the Bauer Vapor 1x Lite allows easy adjustments for a comfortable fit, particularly on the bicep and torso areas. It also has a Velcro adjustment located under the shoulder cap, improving the bicep protection and ensuring a proper fit. This shoulder pad features a removable stomach pad that allows a customized fit and protection depending on the game level. While this pad is as protective as it can get, it is also breathable and allows you to move freely and comfortably. The CCM Jetspeed Ft350 YT Hockey Shoulder Pad is ideal for youths or teens. It provides lightweight protection that ensures the player is safe and comfortable at the same time. Fitted with molded shoulder caps, this hockey shoulder pad is lightweight and protective. The shoulder caps are made with PE foam. For added protection without compromising its weight, this shoulder pad is also fitted with PE foam as torso padding. Utmost protection is also offered to the spine and sternum with the lightweight PE foam that is anatomically-molded to fit the chest seamlessly. As a result, you get a shoulder pad that does not restrict your movements. Last but definitely not the least is the Bauer Nexus 1N Hockey Shoulder Pad. This shoulder pad proudly offers total mobility without compromising protection. This shoulder pad features Seven+ technology, which helps it maintain it’s natural shape even after repeated impacts. Initially designed for Bauer Helmets, it was adapted by their shoulder pads line to ensure maximum protection and comfort that is never compromised. This feature also contributes to this shoulder pad’s mobility. This is thanks to the bicep pads and caps that are strategically placed with a natural arch, allowing the wearer to move freely. Using Bauer’s trademark 37.5 technology, this shoulder pad liner has a “hot rock” system, which quickly evaporates moisture from the pad using your own body heat. This technology keeps you dry and light as you play. Out of the five best hockey shoulder pads we provided, we consider the Bauer Vapor 1x Lite Hockey Shoulder Pad to be on top of the list. This shoulder pad is available in various sizes and offers a perfect fit, thanks to its traditional Velcro adjustments. The removable stomach pad adds protection, especially in the area where it is needed the most. While all the shoulder pads on our list are lightweight and breathable, the Bauer Vapor 1x Lite Hockey Shoulder Pad is the lightest. Despite being light in weight though, wearing this provides you with utmost protection during intense games while also allowing you to move freely.